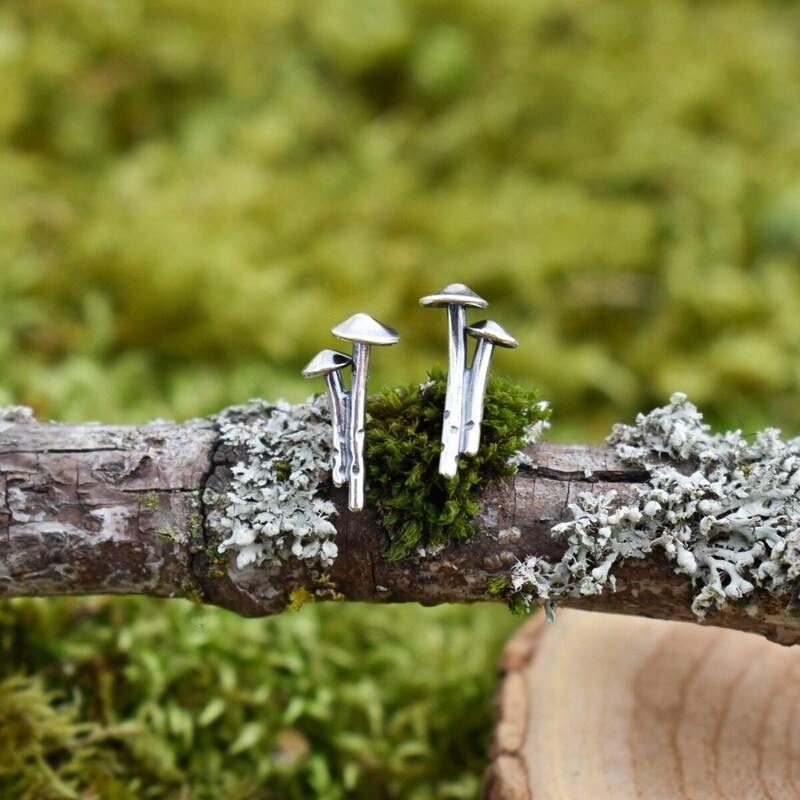 Channel your inner gnome with these hand fabricated sterling silver mushroom duo stud earrings. 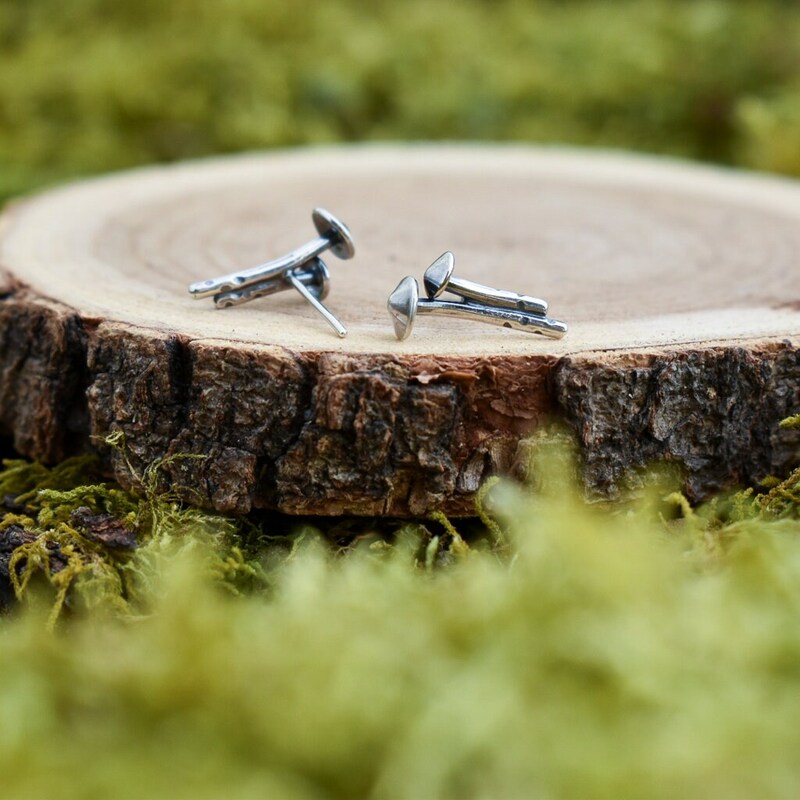 Each pair is hand cut, textured, and formed, then arranged into pairs and an ear wire is soldered to the back. 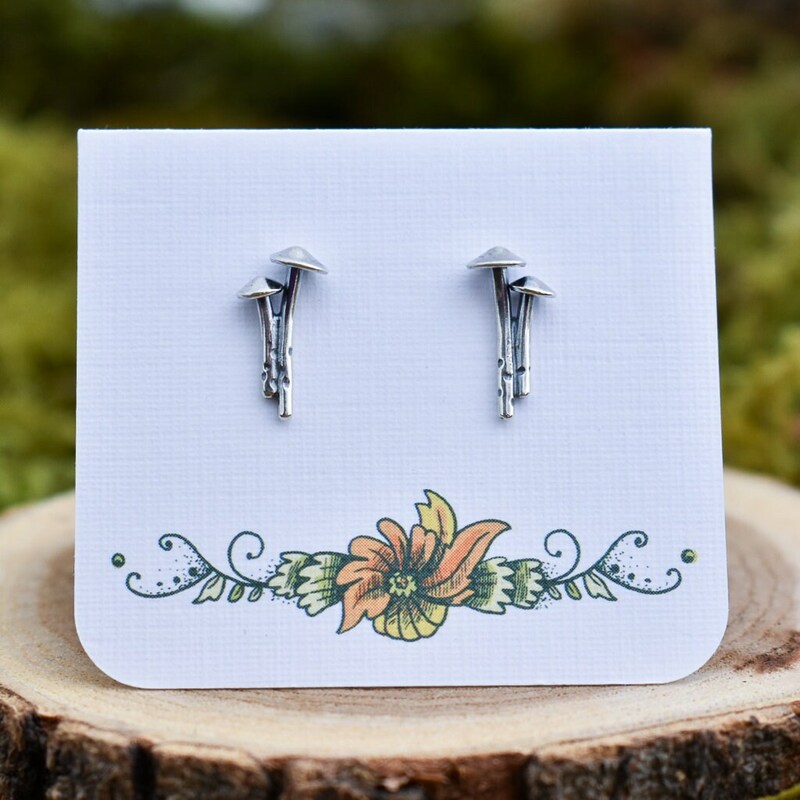 These earrings are made to order and created completely by hand from silver sheet and wire using traditional silversmithing techniques. A dark gray to black patina accentuates each hammer mark. Please note these earrings are made to order and allow 2 - 3 weeks for production before they are shipped.